Trump says in an interview he wants to give his peace efforts a chance before moving the U.S. embassy from Tel Aviv to Jerusalem. 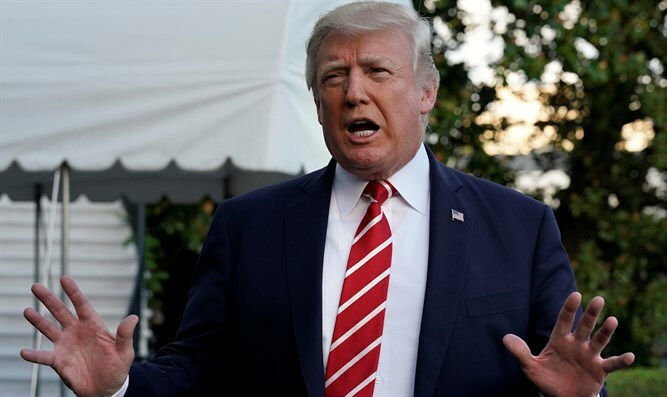 U.S. President Donald Trump said Saturday that he wanted to give his efforts to reach peace between Israelis and Palestinian Arabs a chance before moving the U.S. embassy from Tel Aviv to Jerusalem. “I want to give that a shot before I even think about moving the embassy to Jerusalem,” Trump told former Arkansas Governor Mike Huckabee in an interview on his new TBN program “Huckabee”. “If we can make peace between the Palestinians and Israel, I think it’ll lead to ultimately peace in the Middle East, which has to happen,” he added. The president had promised during his 2016 White House campaign to move the embassy to the Israeli capital if elected. Since the election last November, however, Trump had remained mum on whether he intended to follow through on his pledge. In June, Trump decided to sign a presidential waiver on the Jerusalem Embassy Act, delaying the embassy move for six months. The waiver delaying the implementation of a 1995 decision by Congress to move the embassy has been signed by every U.S. President since 1995. After Trump signed the waiver, his then-press secretary Sean Spicer stressed that the president still intends to move the Embassy to Jerusalem. “No one should consider this step in any way to be a retreat from the President's strong support for Israel and for the U.S.-Israeli relationship,” he stressed.